Lily Carline is an ambitious musician, skilled in both flute and piano. Just 15 years old and still at school, Lily is talented enough to have been accepted into the Royal Academy of Music’s Junior Academy, where she studies every Saturday. It was with the support of the EWS Educational Trust that Lily was able to afford the fees needed for her place at the Academy. “This was a huge help as it enabled me to further my music studies and broaden my musical horizons,” she said. Lily’s father Ross, who was a train driver with DB Cargo, told her about the Trust, and a grateful Lily is eager to encourage others to apply. 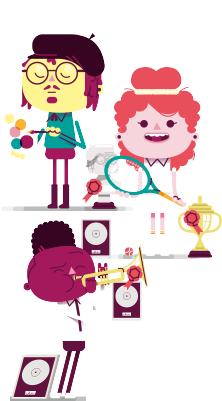 Whether you are a musician, studying for a Masters or have ambitions to be a Marathon athlete you have to put in hours of practise, research or training. “I began playing flute around four years ago, and piano around eight years ago. I first began having serious ambitions for my musical career around the age of twelve. 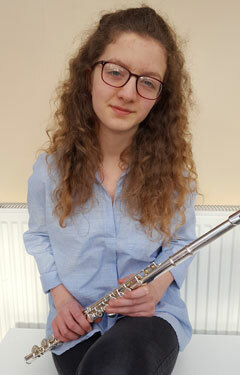 Let’s hope the Trust’s support will help Lily achieve her ambition to be a solo flautist or work with one of the top international orchestras, like the London Symphony Orchestra or the Los Angeles Philharmonic Orchestra. However, if not, Lily has options. Olivia Walker is a great example of how a grant from the EWS Educational Trust can make a difference to someone’s life. The grant she received from the Trust helped her fulfil her triple ambitions. 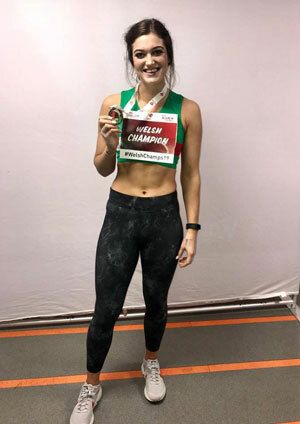 First, to graduate from Durham University, which she did with a first-class honours degree, secondly to be a champion athlete – Olivia was crowned Indoor Welsh Champion in the 60m hurdles in 2018 and 2019 – and finally, to be a primary school teacher in Cardiff so she could be close to her trainer, who was based in the Welsh capital. Olivia was considered for a grant because her mum worked for pre-privatisation rail freight company Transrail Freight and then for the English, Welsh and Scottish Railway. Olivia received her grant from the Trust in 2016. At the time she had represented England in the hurdles at under 17 and under 20 levels at indoors (60 metres) and outdoors (100 metres) events and had also won medals at the British Universities’ Championships and the Northern Championships. She used to travel between home, training and competitions 5 or 6 times a week and needed financial support for her travel costs as well as overnight accommodation. Having the Trust’s support has made a big difference to Olivia, especially when she faced time out after injury. “In September 2015 I fell at training and broke the scaphoid bone in my wrist which required surgery and an overnight stay in hospital,” she explained. “I was able to get straight back into training by changing my programme and using different training facilities, thanks to the grant. “Then to speed my recovery in preparation for the indoor season I was able to have regular sessions with a chiropractor, which has made an enormous difference to me. “I would certainly encourage others to apply. Without the Trust’s support I would have been unable to put myself in a position to compete to my full potential.